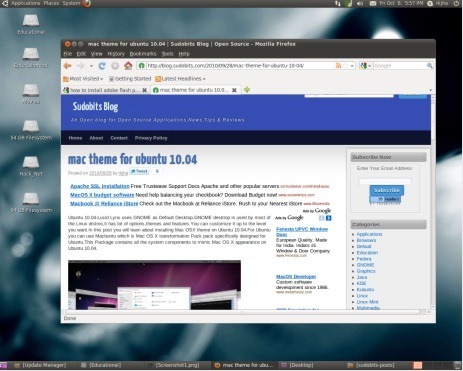 As you know – Ubuntu 11.10 beta 1 released, with a lot of improvements e.g it’s lighter && faster than it’s previous version (I mean – Ubuntu 11.04 – Natty Narwhal) and changes. 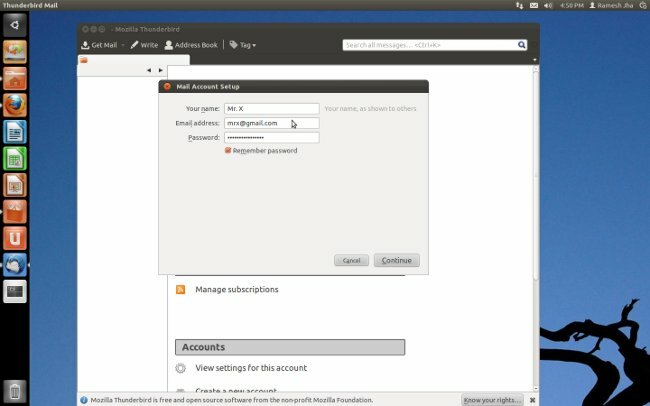 Now it’s time for a quick preview, basically a screenshot tour for some of its exciting/cool features or improvements. 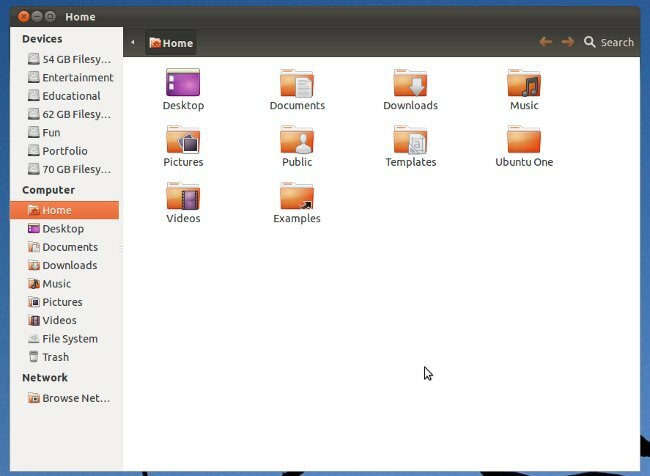 Since it’s the beta release – there are lot of bugs (believe me it’s very annoying, I use Ubuntu 10.10 for general purpose), so obviously you aren’t going to install it on production machines. 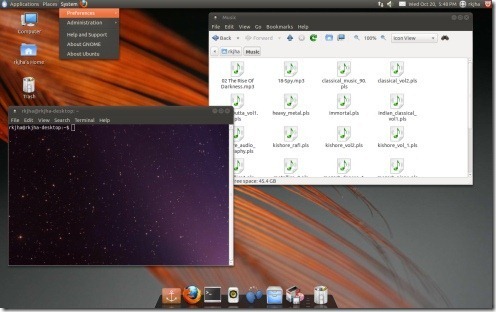 On the other hand if you want to do some experiments – then have a look at the screenshots. 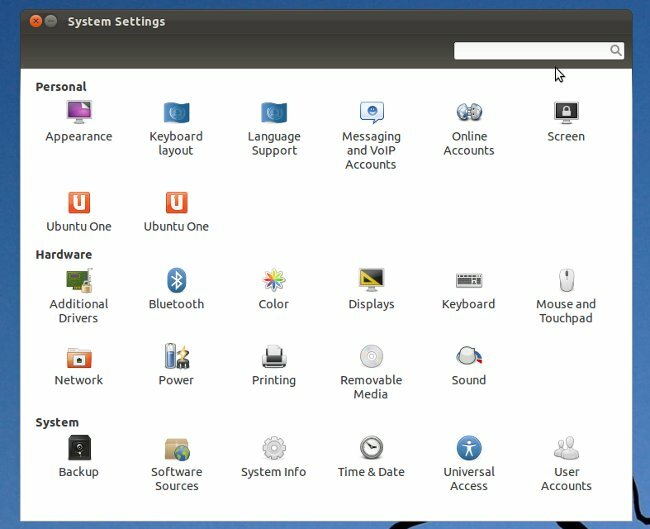 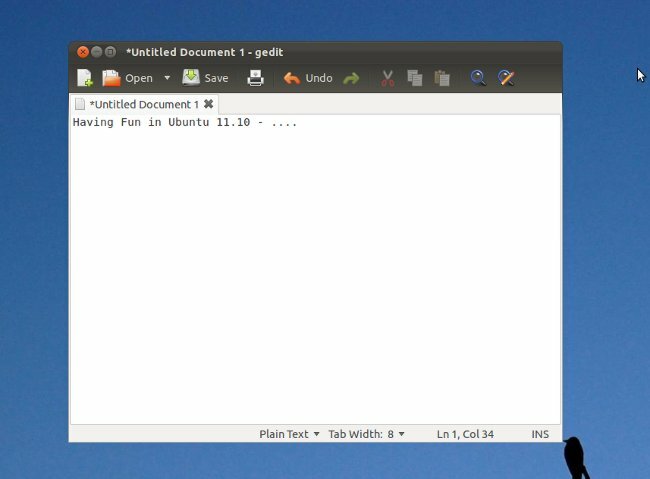 Unity is the default desktop, runs on the top of Gnome 3 , so this time – we can easily install Gnome 3 – shell on Ubuntu 11.10 without breaking the Unity. 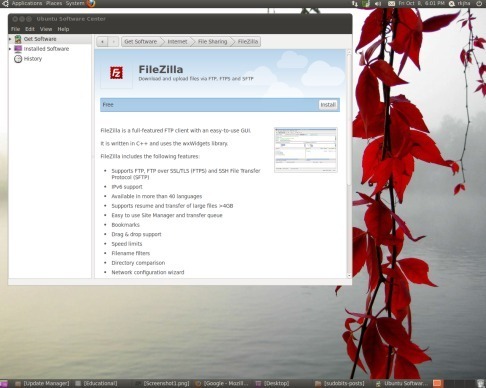 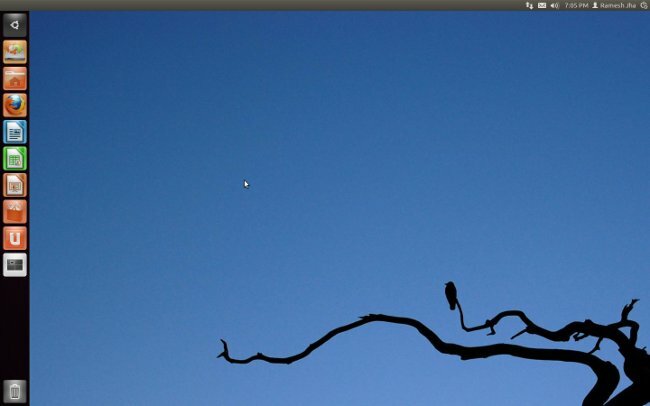 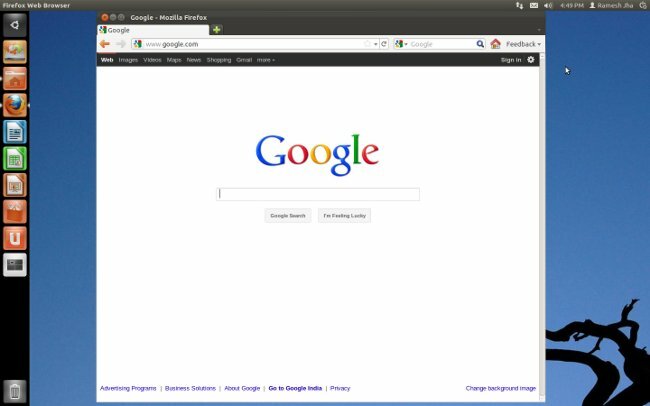 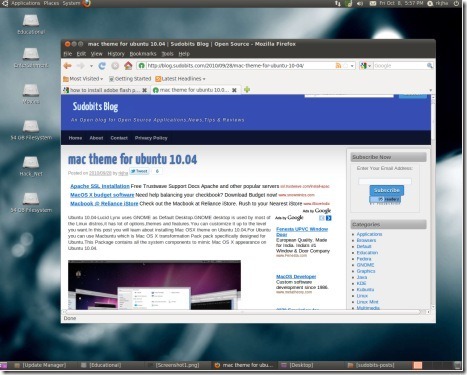 Ubuntu 10.10 final was released on October 10,2010.Here is the look of Ubuntu 10.10 Desktop(Ubuntu uses GNOME as Window Manager). 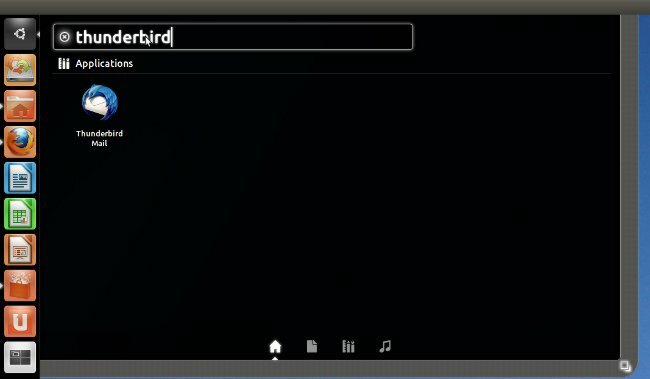 The Extra Applications used here are Docky,Compiz ; the wallpapers/background/Themes used in this screenshot was installed by default. 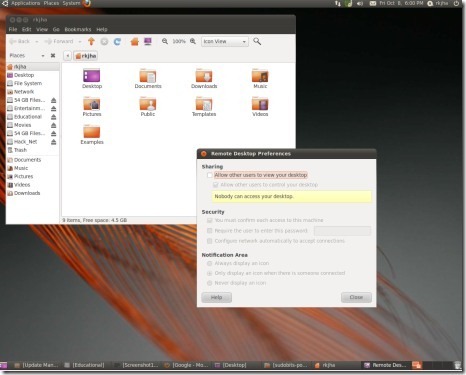 Ubuntu 10.10 Maverick Meerkat is scheduled to release(Final Version) on October 10,2010.Few Days before Ubuntu 10.10 RC version was released.Ubuntu 10.10 is the successor version of Ubuntu 10.04 Lucid Lynx.Few Days Before I installed Ubuntu 10.10 on my desktop computer,so in this post I will share some screenshots of Ubuntu 10.10 Maverick Meerkat and it will give you a preview of Ubuntu 10.10. 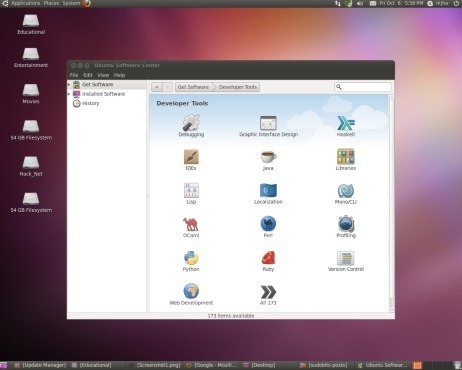 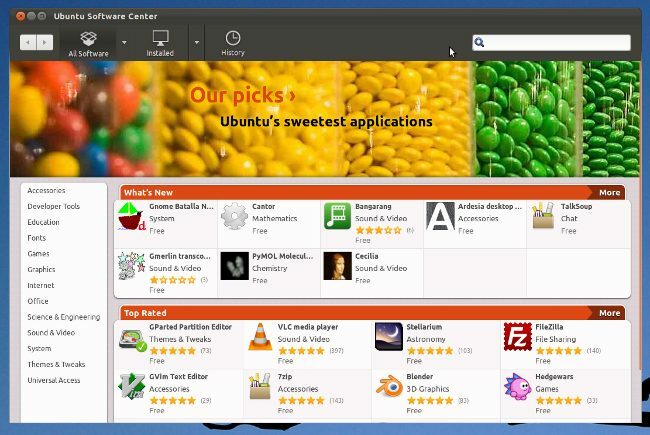 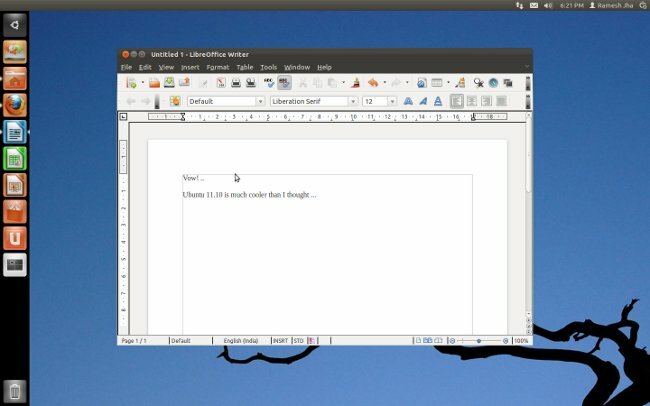 Screenshot 1 : Did you notice the Improvement in the Interface of Ubuntu Software Center? 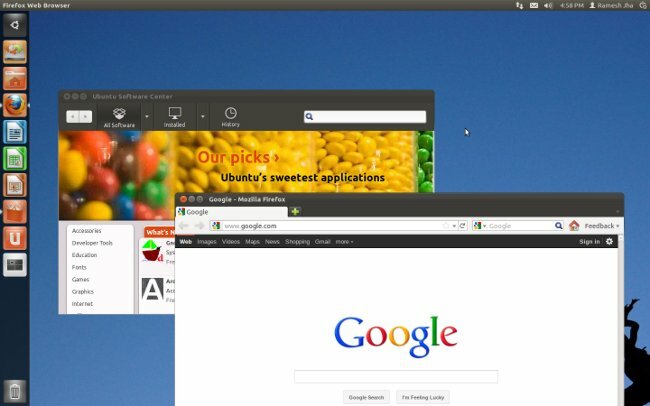 Screenshot 2 : Changes in the look and Feel,specially in windows control buttons. Screenshot 4 : Now it’s much easy to install and manage applications in Ubuntu Software Center. In ubuntu 10.04 distribution package there is one software i.e installed by default(In accessories) called- “Take Screenshot” with some basic features,can be used to take screenshot.Suppose you want to take screenshot for some selected region then you start annoying with this.One week ago,while I was messing around software center,a new software Ksnapshot came into the mind.I installed it and Now I think this is what I was looking for weeks.Ksnapshot is an excellent software I recommend you to use it for taking snapshots and enjoy.It is better not only in features but it is also more stable then the “Take Screenshot”.